The Cochrane Collaboration is a registered charity, established twenty years ago, that consists of almost 30,000 volunteers in more than 100 countries. On the basis of scientific reviews of published research articles, sometimes called meta-analyses, the Cochrane Centres assist clinicians to make the best health care decisions for their patients. Despite the fact that he was the Director of his regional Centre and had been present at Oxford in 1992 when the first Centre was established, Gøtzsche found himself being discredited by the editors of the Cochrane Breast Cancer Group, the very people he thought would be supportive. 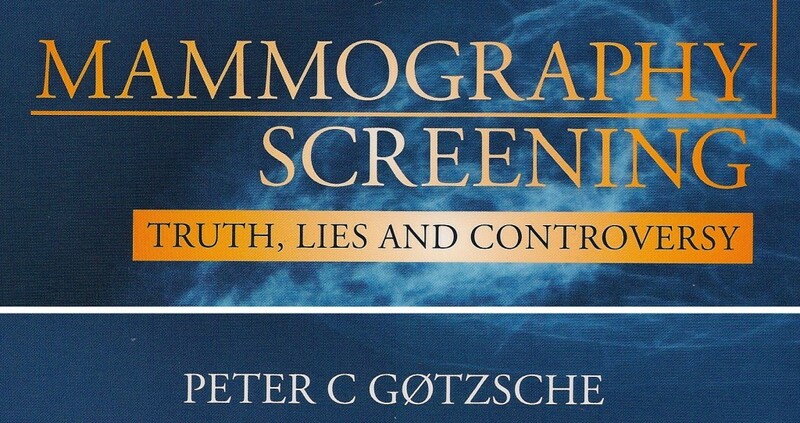 This negative experience is one of the reasons that led him to publish a book on screening mammography with the provocative subtitle Truth, Lies and Controversy. At CapeRay we take the views of contrarians like Peter Gøtzsche seriously even if his recommendations could be counterproductive to our business. While we are dedicated to the design of innovative diagnostic tools, we also recognise the importance of seeking the truth. In the breast world Peter Gøtzsche has always been regarded as the grumpy old man.He has angered many screeners. And yet, there is much truth in what he writes, and we have – as you have – to listen. He probably brings the pendulum to a balanced middle view, away from the hysterical feminist lobby, those people who claim that all the medical breast world wants to do is “slash, poison and burn!” And the most guilty people, they claim, are the xxy’s! Many thanks for this follow-up, David. I think you’re spot-on about the pendulum swinging and the need for us all to come to a balanced view. Jimmy Volmink, Director of South Africa’s Cochrane Centre and Dean at Stellenbosch, has also been in touch and said he would be meeting with Peter Gøtzsche in Paris next month. I would definitely like to engage Peter in further debate. No doctor can ever pridect the future especially with cancers- though we are asked to do this every day.If she is old ( how old ? ), she may die of natural causesbefore the breast cancer progresses to affect her health.I do not see why she would refuse a simple lumpectomy,but maybe she is very old.We have so little medical information here.Her doctor has all of her medical history and has examined her.That is the person to ask.I’ve seen people with advanced breast cancers live for many years.